Since 2008, the Jacob Harasyn Feichtner Fund has provided scholarships to 48 students including 4 in the 2017-2018 academic year whose families are facing sudden financial hardship so that they can continue to attend Lawrence School. Through his memory, Jacob’s loved ones have continued to honor his memory and pay forward the gift he received years ago. Established in 2008, the organization was founded in memory of Jacob Harasyn Feichtner. Jacob was a kind and caring man known very well for his generosity. As a young boy he was diagnosed with dyslexia and attention deficit disorder, shortly after it was suggested he be placed in a specialized educational program. In addition, Jacob was raised in a single parent household with two other siblings. This made it quite difficult for his father to afford the program; a vital program that would substantially help the young boy’s development. A compassionate anonymous donor made it possible for Jacob to receive just that. This generous gift forever changed the life of Jacob and his family, and allowed Jacob to become the remarkable man that he is remembered to be. Later in life, Jacob had worked his way through the ranks at the Intercontinental Hotel at the Cleveland Clinic, and began studying Hospitality Management at The University of Akron. 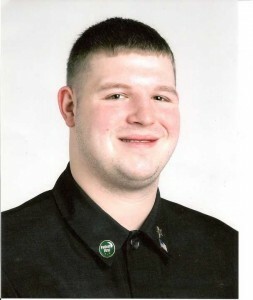 Sadly, Jacob’s life came to a heartbreaking end, at the age of 24 on the evening of July 4th, 2007. While spending time with friends, celebrating our nation’s Independence Day, Jacob and two others were shot and killed by a neighbor. This story not only shook his family, and friends, but the entire City of Cleveland. However, Jacob’s life was defined by overcoming adversity, and through his spirit, his loved ones were able to do just that. The Jacob Harasyn Feichtner Fund was founded to celebrate the life and achievement of Jacob Feichtner, and to continue to share the gift of education Jacob received at The Lawrence School. 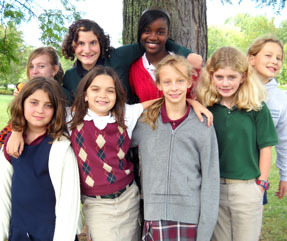 Currently, the Lawrence school serves over seventy communities including ten countries to provide a quality education to students with learning differences. Our vision is to provide the opportunity for a fulfilling education to any student with learning differences and/or learning disabilities. The Jacob Harasyn Feichtner Fund is a 501(c) 3 tax-exempt organization. © The Jacob Harasyn Feichtner Fund is powered by WordPress & Bones.